LOCATION LOCATION! 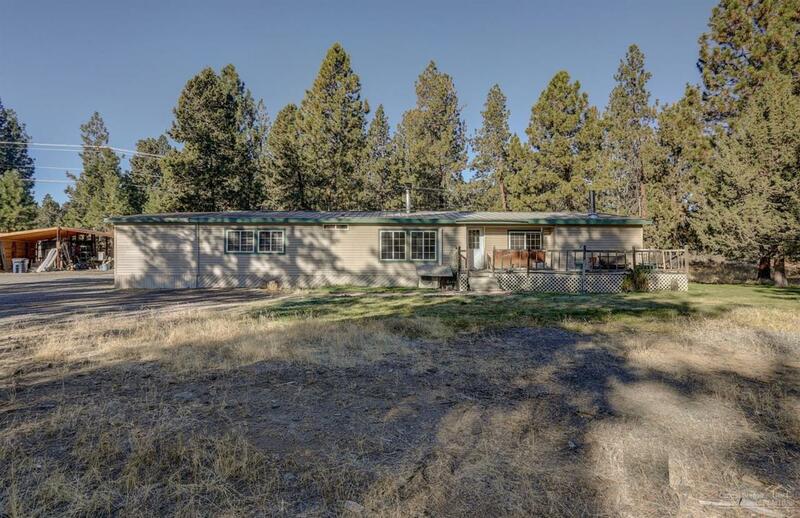 This 3/2 bath home sits on 2.61 acres just outside of city limits. Surrounded by mature trees and nature, the beautiful back yard, located off the massive patio, is perfect for outdoor games and entertaining. Abundant storage, oversized closets, 2 wood burning stoves, 2 living rooms, large updated kitchen, 1,400 sq ft shop, wrap around driveway! Could be 4th bedroom/nursery off Master bedroom. Underground sprinkler system. Must see in person to appreciate!